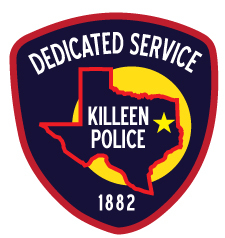 Killeen Police investigate a dog attack on several children and one adult. Officers responded to a 911 call in reference to a dog bite at Cody Poe Rd. and Armadillo Dr. on Monday, April 14, 2014 at 4:00pm. Upon the officers’ arrival, witnesses informed them that they saw three pit bull dogs actively attacking a 12 year female, 11 year old male and a 26 year old female who was trying to help the children get away from the dogs. Officers located the three victims, all of them suffering from multiple puncture wounds, and the aggressive dogs behind 2703 Cody Poe Rd. Officers were forced to use deadly force to stop the attack. The 12 year female victim was transported to the Scott and White Children’s Hospital in stable condition. The 11 year old male victim and the 26 year old victim were both transported to Metroplex Hospital in stable condition. The names of the victims will not be released at this time. Killeen Animal Control took custody of the injured dog however the other two pit bulls fled after the shots were fired and they are still at large.